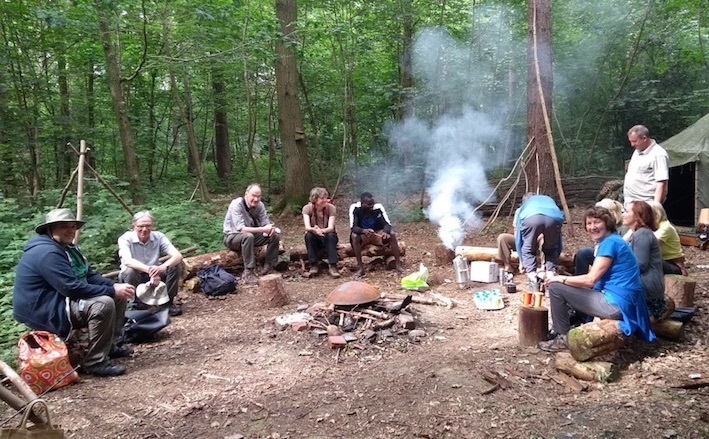 About 20 people met up in Cotgrave Forest to hear about managing woodlands for butterflies from Ben Driver, Southern Conservation Officer with the Notts Wildlife Trust. 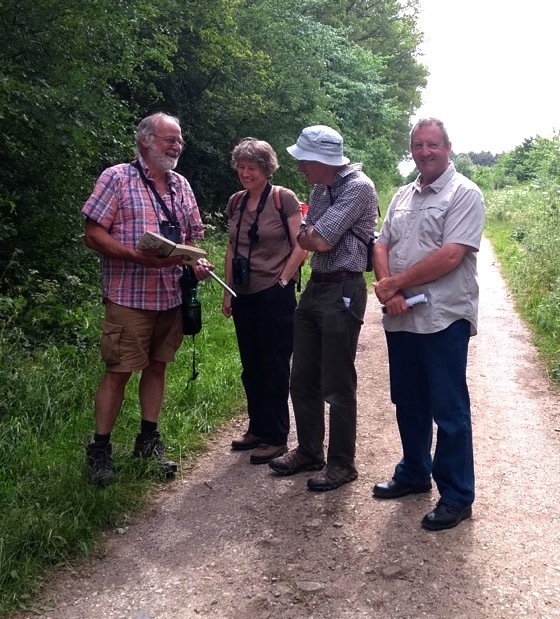 Cotgrave is a focal point for conservation work within Rushcliffe Borough Council and home of the elusive Purple Emperor Butterfly. 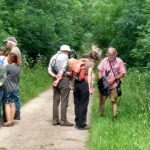 Together with Bill Bacon from Butterfly Conservation and local naturalist Neil Pinder, Ben talked about how owners could work together to improve woodland edges (by thinning, coppicing, shrub planting, etc), and which species to plant to encourage butterflies. 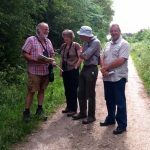 They started off at Derek’s species-rich wildflower meadow, which grades into a nice scrubby woodland edge – ideal butterfly habitat – and walked along part of the butterfly transect route along the public bridleway. 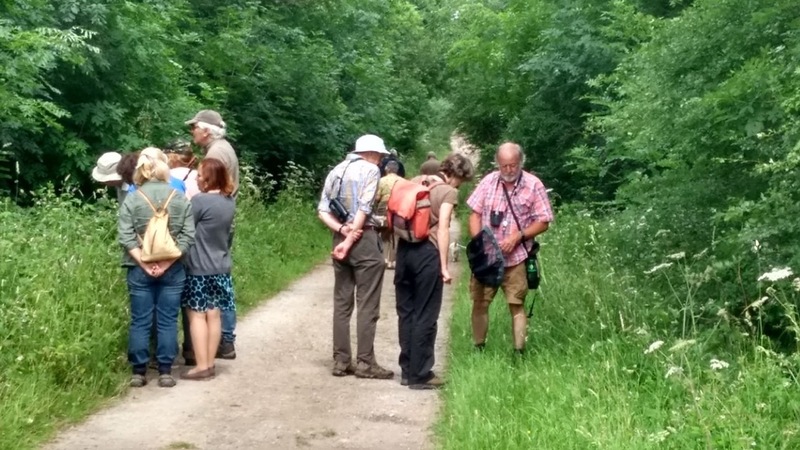 Ben discussed the transects and the results from last year, when 23 species were recorded, making this a butterfly hotspot in south Notts and possibly the whole county. Conditions were warm, slightly overcast and a bit breezy but surprisingly, not too many butterflies were in flight, apart from a few of the browns. Bill Bacon said that Purple Emperor is starting to emerge in woodlands further south, so (fingers crossed) they might make an appearance in Cotgrave by the end of June. 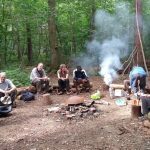 The event concluded with a chat and drinks hosted by Maddy at her wood Hol Royd, which was a very pleasant way to end the day. Thanks to Derek, Maddy, Ben, Bill and Neil for hosting the meeting.